From idea to realisation, play is how children make sense of their world. Imaginz encourages children to use their imagination, interacting with the interlocking parts to construct their own life size creations. 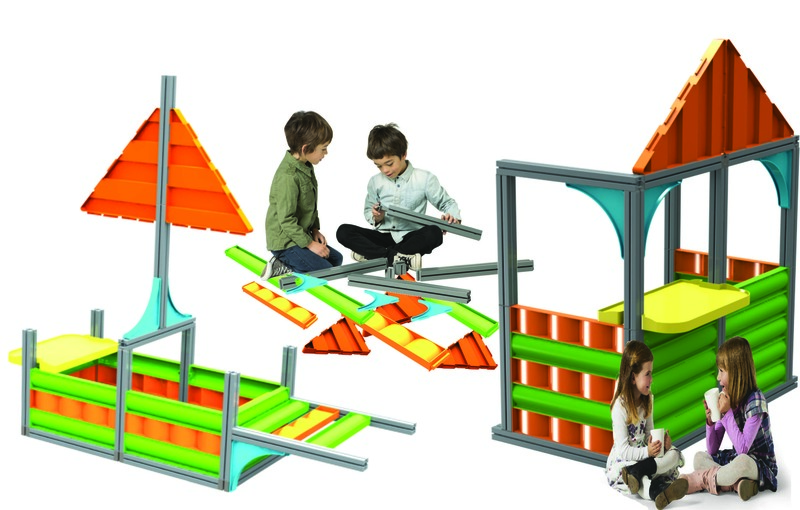 Imaginz is a set of simple interlocking components that children can join together to build their own life size creations. Ideal for indoor or outdoor play, it is great for children of all ages. 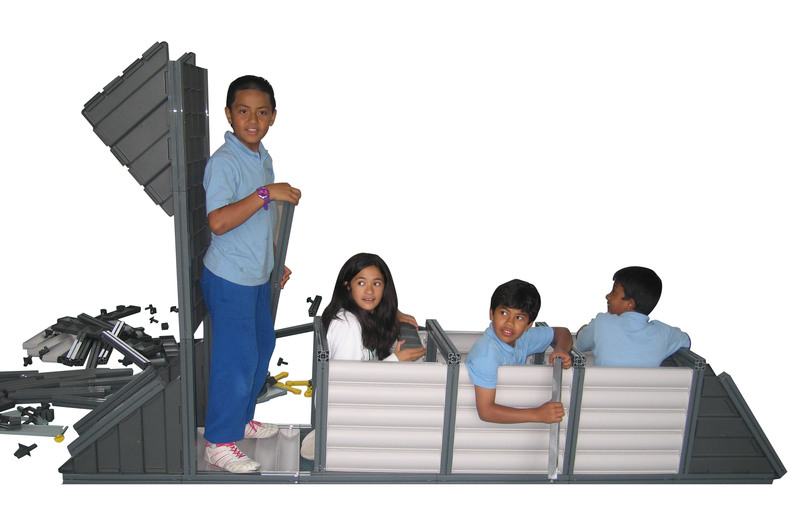 It is unique in its size and simplicity and its scope for constructive, educational play is endless. Thinking and making. Building and playing. Learning and growing. Children enjoy making choices for themselves, solving problems with innovation, affirming their ability to be responsible and develop independent creative skills. Open-ended play gives children a sense of freedom and autonomy to develop initiative and self-confidence. Natural, spontaneous open-ended play is a central activity in the lives of healthy children, and crucial to their growth and development. These are valuable skills that will remain throughout their lives. Parents and caregivers enjoy playing with children and also look for products that promote a degree of independent play. The imaginz learning system provides both the opportunity to get involved as well as allowing children to explore and create at their own pace. Exploring the infinite possibilities, there are no expectations, no specific outcomes to achieve and no pressure to produce a finished product. Working on a common goal helps children learn how to work in groups, to share, to negotiate and to learn self-advocacy skills. 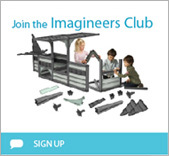 Imaginz allows children to develop their problem solving skills, whether creating their own unique constructions or working from construction plans. It’s all about working together towards a desired solution. The kinds of toys that parents value the most are those that have ‘enduring play potential’. That is, they actively engage the child for weeks, months and even years. It is a magical time for both child and parent. The learning potential of imaginz is limitless, children learn how to work in groups, to share, to negotiate and to learn self-advocacy skills. imaginz allows children to develop their problem solving skills, whether creating their own unique constructions or working from construction plans. It’s all about working together towards a desired solution. Children can initially complete simple tasks to learn the basic techniques and as their skills develop can attempt more ambitious outcomes. imaginz is a learning system comprising of 344 interlocking components that children can join together to build their own life size creations. Spontaneous open-ended play is essential for a child's development. 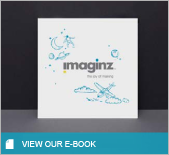 The imaginz professional learning system contributes to a child's cognitive, spatial and social development skills. It can complement and enhance perceptual motor programmes. It's about free play -- the freedom to invent, discover and learn. win a home discovery pack! 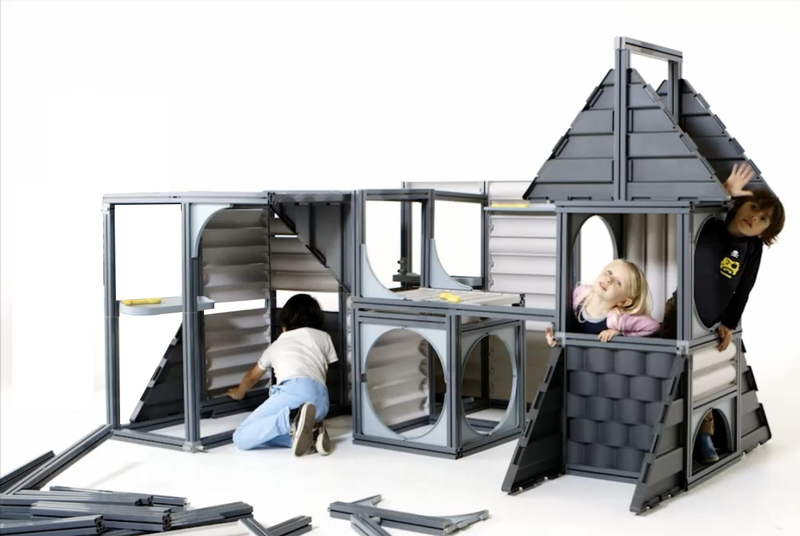 (136 pieces and 10 components) for your kids, valued at $599. Enter your name and email address to go into the draw. Competition closes on 16th December, 2012. See competition terms and conditions. You can read the competition terms and conditions here. 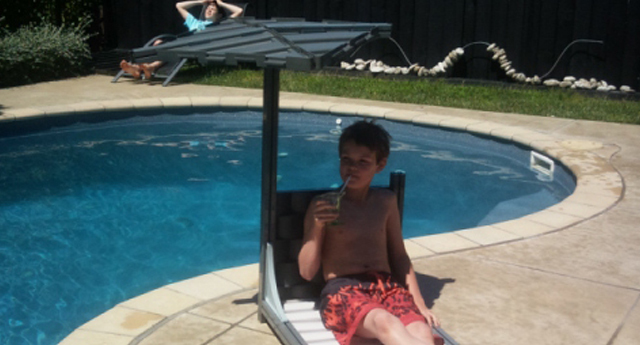 Welcome to the create and share photo uploader! Please fill in the following boxes, upload your photo, and imaginz will be in touch soon. be the first to know about our competitions and winners etc. get inspired by what others are making with their imaginz! any children under the age of 14 years old will be asked for their parents e-mail address to confirm acceptance of joining the club under our policies. forgot your password? type your email above and click here.